This lack of productive training management leaves companies in dire need of effective development and training coaching and opens up large opportunities for Training and Development Managers to step up to. The responsibility for skills development falls at the feet of the Training and Development Manager. They don’t execute the training itself, but rather plan and coordinate the skills development courses and programs. They ensure every team member knows exactly what they need to know in order to own their responsibilities, no matter the role. 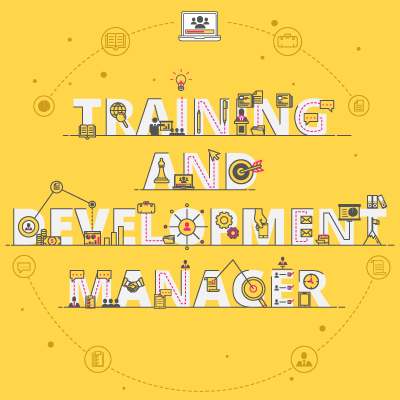 What are the key responsibilities of a Training and Development Manager? All development and training of new and current employees are planned, administered, and overseen by Training and Development Managers. What are the career path prospects for a Training and Development Manager? Companies continue to evolve and expand and the need for cost reduction rises, meaning training and development has to be done in the most efficient way possible. This makes training and development management a necessity in most organisations, offering a degree of job security. Human Resources (HR) Manager: in this role, your main responsibilities become those of supervision and oversight. Your main concerns are those of policies, procedures and employee compliance management. This is a strong role to move into, as it opens up the paths into further leadership roles. Senior HR Manager: this job further increases your responsibilities in HR management, and requires significant managerial experience. Professionalism becomes a must-have, as you start to deal with more high-level employees, important clients, and other firms. HR Director: once enough experience in a senior HR position has been garnered, this is the inevitable next step. Company-wide responsibility would now fall with you in terms of ensuring policies, procedures and HR programs are consistently and properly administered. What is the potential salary for a Training and Development Manager? What are the education and training requirements for a Training and Development Manager? The typical minimum qualification for entry-level jobs in training and development management is a Bachelor’s degree, while some organisations may require you to have a Master’s degree in a related field. Bachelor’s degree: most companies would be happy with a Bachelor’s level degree coupled with a few years of experience. The desired fields of study are those related to human resources and business management. Master’s degree: while not a requirement set out by many companies, having a relevant Master’s degree will always increase your chances of finding a job. The recommended fields are those of training and development, human resources management, organisational development, or business administration. Certification: while usually not a requirement, certifications from the Association for Talent Development and the International Society for Performance Improvement improve your professional profile and boost your credibility. 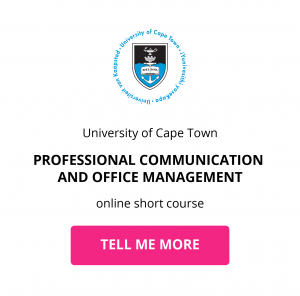 Online short courses: further opportunities for growth are unlocked by completing online training courses related to the field, like the UCT Training and Development Management online short course. Download a course prospectus to find out how one of these online short courses can help you become a Training and Development Manager.